My Kauai Wedding Photography & Portrait Photography packages are custom designed to fit your particular needs and desires. You may contact me through email or phone regarding dates and availability, however, it is paramount that speak with one another. Portrait & wedding photography is an extremely personal endeavor, which is why it’s important to know who YOU’RE hiring and for us to get to know each other. 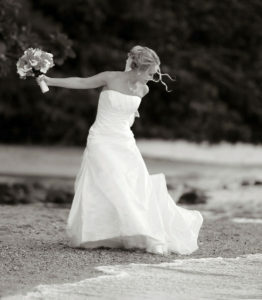 It’s my job to document the personality, character and beauty of your wedding in an aesthetic, artistic way. With a successful career in Photojournalism, Commercial Photography and Fashion Photography, it is my depth of experience and passionate commitment to the art that allows me to provide my clients with images that have content, are beautiful, and personal. One of my priorities is having a great rapport with the bride and groom. However, I consider the bride to be the focal point of the wedding … the groom gets “Best Supporting Actor.” Your bridal party and guests are V.I.Ps, adding to the character of the event. So join us on Kauai, enjoy its majestic scenery, and immerse yourselves in her warm turquoise seas. Marry the one you love, have the wedding of your dreams, and I’ll be there to take the photos.